Home / News / University Reprimands Professor For Not Calling Transgender Student By Preferred Pronoun. Professor Files Suit. University Reprimands Professor For Not Calling Transgender Student By Preferred Pronoun. Professor Files Suit. After being chastised by university officials for addressing a male student who identifies as female as “sir,” an Ohio professor is suing the officials, stating that his evangelical Christian beliefs dictated his actions and that the university was violating his constitutional rights. 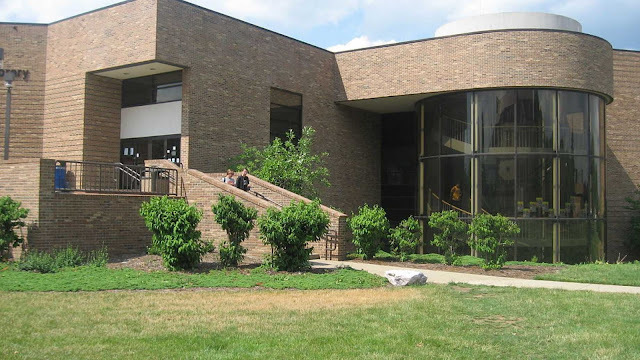 The lawsuit filed by Nicholas Meriwether, who teaches philosophy and religion at Shawnee State University in Portsmouth, Ohio, states, “In January 2018, a male student demanded that Dr. Meriwether address him as a woman because he identified as such and threatened to have Dr. Meriwether fired if he declined. To accede to these demands would have required Dr. Meriwether to communicate views regarding gender identity that he does not hold, that he does not wish to communicate, and that would contradict (and force him to violate) his sincerely held Christian beliefs.” The lawsuit also notes that Meriwether addresses students as “sir” or “Miss” to show respect. Cincinnati.com reported that when they met after class, Meriwether said the student circled Meriwether threateningly and compared the professor’s refusal to use the student’s preferred pronouns to someone calling him a "c***." According to Heavy.com, the student complained twice to the university, prompting a Title IX investigation. Heavy.com also noted that Meriwether said he would address the student using the student’s last name. Shawnee State University started a Title IX investigation, deciding Meriwether had violated the school anti-discrimination policy when he refused to call the student by the student’s preferred pronouns. The university issued a written rebuke. According to the lawsuit, the university “punished” Meriwether for “expressing views that differ from its own orthodoxy and for declining to express its mandated ideological message … Continuing in their role as the self-appointed grammar police, Defendants threaten to punish him again if he continues to express his views. Under their policies, all professors must refer to each student — both in and out of class — using whatever pronouns the student claims reflect his gender identity.” Meriwether said he had tried addressing the rebuke through the grievance process but his effort was not successful. If you want to live in a world of psychopathic delusion that is fine with me. Just don't try to force me to enter your delusion.